J.P. Cassar, K. Borg, C. Bugeja (S. Dimech), C. Debono, J. Grima (B. Meilak), O. Curmi, L. Garcia Panesso,. M.M. Uzor (M. Debrincat), J.J. Sandobal Guarin, G. Muscat, B. Polo Longarela. M.T. Towns, A.G. Attard, A.J. Obaje (E. Bugeja), P. Dordevic, S. Harland, A. Attard, M. Bamba, A. Touarha (A. Touarha), R. Grech (E. Zammit), D.U. Monday, G. Cardona (A. Adesina). 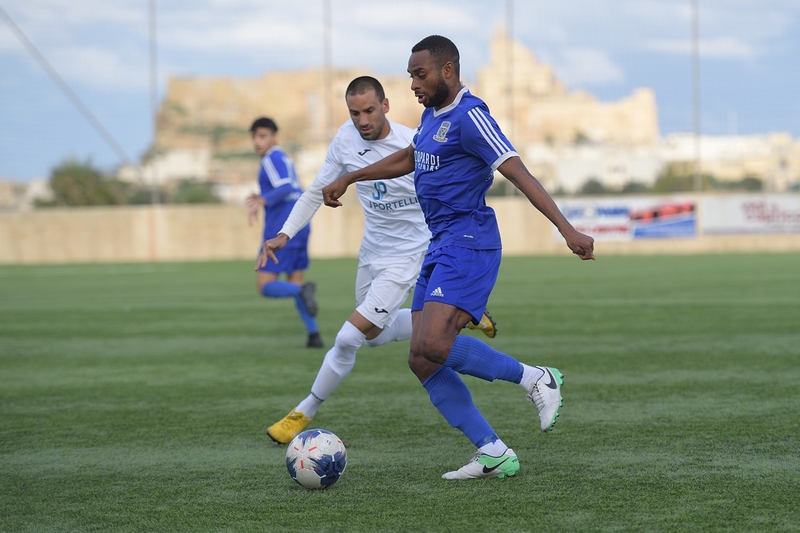 In the third match from the quarter final stage of the BOV GFA Cup Munxar Falcons obtained a win over SK Victoria Wanderers after a penalty shoot-out. This was the third time that the two sides were facing each other in different competitions this season. In the previous two matches each side won a match each and therefore they were both aiming to obtain the victory. The two sides however failed to capitalize form their scoring opportunities in this match. Munxar and Victoria both exposed their limitations in attack which is also expressed in their respective on the standings of the championship, and therefore it was not surprising that the 120 minutes of play ended in a goalless draw. Play was quite balanced during the first period but Munxar dominated play during the second period and during extra time so that the outcome of this quarter-final match rewards the best team on the field. Play was rather balanced during the opening minutes of the encounter as the two sides were very prudent in an attempt to avoid committing mistakes that would compromise their match. The Wanderers had a free kick on 12 minutes form a good position but Predrag Dordevic’s attempt ended high. Three minutes later Munxar’s Borja Polo Longarela had a lob from outside the area when the goalkeeper was out of his position that missed the target and on 17 minutes a header by Leiner Garcia Panesso from a free kick by Borja Polo Longarela ended wide. Two minutes later Victoria’s Predrag Dordevic had a low shot that was saved by Munxar’s goalie John Paul Cassar and on 20 minutes a strike from outside the area by Matthias Michael Uzor following a short clearance by Victoria’s defense that ended just high. The Wanderers operated a dangerous action on 27 minutes when Aaron Touarha entered Munxar’s area but from his inviting low cross Gabriel Cardona hit badly and the ball ended wide. In another good action by the Wanderers on 32 minutes a shot by Aud-gustine James Obaje was saved to a corner by goalie John Paul Cassar and Munxar replied on 35 minutes through an effort by Leiner Garcia Panesso that ended wide. Two minutes later Victoria’s Gabriel Cardona crossed from the right flank but the ball crossed Munxar’s goal without finding any striker to connect. On 39 minutes the Wanderers had an effort by Andrew Attard that ended wide and on 45 minutes Munxar went very close to scoring but a lob from close distance by Joseph Grima ended high. Play continued to be rather balanced during the opening stages of the first half as the two defensive departments prevailed over the respective strikers. Munxar created a potential scoring opportunity on 53 minutes but a shot from outside the area by Matthias Michael Uzor after receiving from Leiner Garcia Panesso missed the target. Munxar gained confidence and two minutes later Victoria’s keeper was well placed to neutralize a low shot by Oliver Curmi. On 65 minutes Victoria’s central defender Moussa Bamba cleared form the goalmouth a low shot by Borja Polo Longarela and less than a minute later Munxar’s Christian Debono came face to face with Victoria’s keeper but the latter blocked the danger and Munxar failed to capitalize form the resultant melee in front of Victoria’s goal. On 67 minutes Victoria’s keeper Matthew Towns was well placed to save to a corner a strike by Christian Debono and the same keeper was called to make another good save on 69 minutes to block to a corner an effort by Borja Polo Longarela following a personal action. On 75 minutes Munxar’s Jhon Jario Sandobal Guarin ended high and four minutes later Munxar lost another good scoring opportunity when Christian Bugeja entered Victoria’s area but his attempt partially saved by goalie Matthew Towns and form the resultant clearance Munxar’s Borja Polo Longarela had his shot that ended over the crossbar. 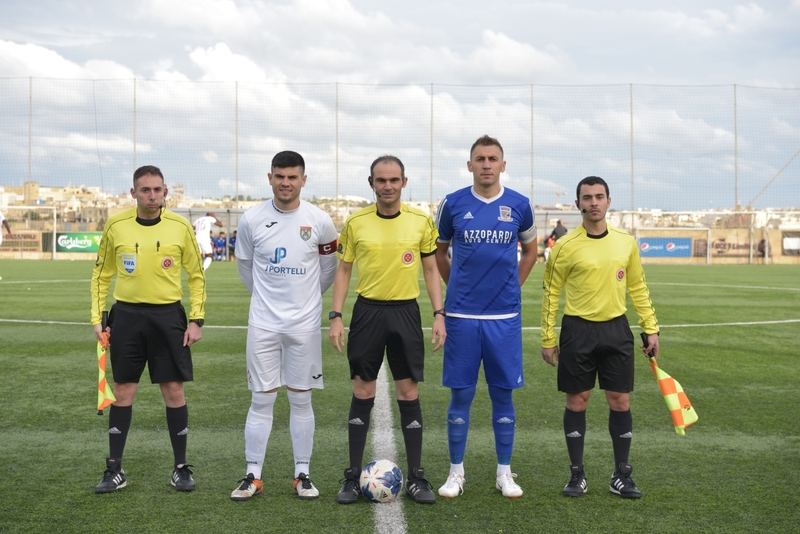 On 80 minutes Munxar were again dangerous through a strike by Matthias Michael Uzor that ended wide and four minutes later the Wanderers replied through a shot by Andrew Attard that ended high so that the score remained unchanged and the match had to go into extra time. Munxar continued to dictate matters during extra time and on 96 minutes they went very close to scoring but an attempt by Borja Polo Longarela was stopped by the post and form the rebound Munxar’s substitute Steve Dimech headed towards goal but goalie Matthew Towns managed to save with the aid of the crossbar and from the resultant rebound the same Dimech concluded wide. On 109 minutes Munxar protested for a penalty, alleging handling, when Borja Polo Longarela was stopped inside the area by central defender Moussa Bamba. On 110 minute Munxar lost a golden scoring opportunity but a shot on the run from close distance by substitute Mark Debrincat following a low cross by the other substitute Brian Meilak was saved to a corner by goalie Matthew Towns. Munxar were almost punished for the missed chances as the Wanderers created the best scoring opportunities during the dying moments of the encounter. On 114 minutes but Victoria’s Sam Harland had a close raged attempt blocked by goalie John Paul Cassar. Two minutes later the same goalkeeper was well placed to neutralize a low shot by Victoria’s substitute Emerson Zammit and on 117 minutes the Wanderers were again dangerous through a header by Sam Harland that was saved by goalie John Paul Cassar. The same goalkeeper saved the result for his side on the stroke of extra time when he punched away from the goalmouth an effort by Predrag Dordevic so that the qualification had to be decided by a penalty shoot-out. In the penalty shoot-out Munxar obtained the win by scoring seven shots from eight, while one shot ended over the crossbar as follows: Leiner Garcia Panesso, Jhon Jario Sandobal Guarin (high), Oliver Curmi, Christian Debono, Gabriel Muscat, Steve Dimech, Brian Meilak, Borja Polo Longarela. On the other hand the Wanderers missed two penalty shots from eight as they had an effort that was stopped by the woodwork and a shot that ended wide as follows: Sam Harland, Eman Bugeja, Predrag Dordevic, David Udoh Monday (crossbar), Moussa Bamba, Andrew Attard, Ajibade Adesina, and Anthony George Attard (wide).